Scandinavian minimalism meets wellness in this limited edition line. When thinking of famous Swedish exports, a few things come to mind. One, ABBA. Two, herring. 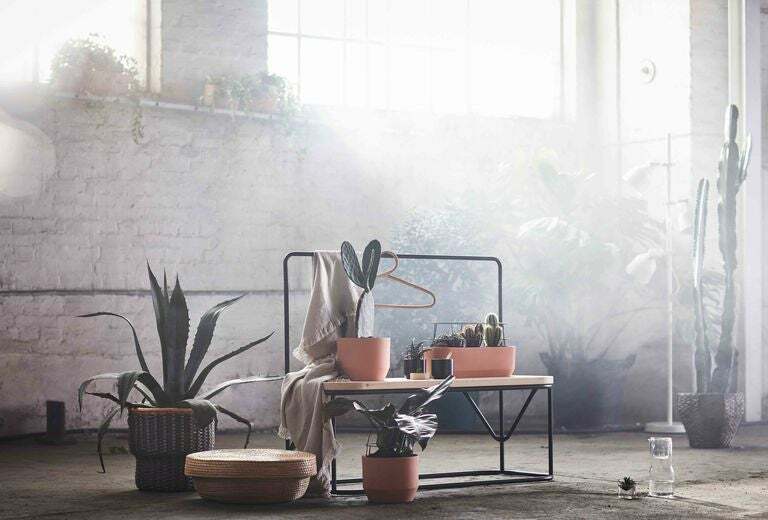 And in close contention for third place are the art of Scandinavian minimalism and Ikea—which is why this newest decor collection that combines the two is so great: The Swedish retailer just announced the launch of Hjärtelig, a pared back decor line inspired by wellness, coming to US stores this April. And while making your life less hectic or inspiring a green thumb might seem like a lofty goal for a decor collection, Hjärtelig’s design definitely lends itself to a simpler way of life: Clean lines, contemporary silhouettes, and solid colors combine for an overall calming aesthetic. There are no busy prints or overly eclectic accent pieces (attn: Ikea’s last collaboration); instead, it goes back to the retailer’s Scandinavian, minimalist roots. Andreas Fredriksson and Maja Ganszyniec have designed the collection with wellbeing in mind—and not just that of homeowners. They highlighted natural, sustainably-sourced materials, like rattan, seagrass, cotton, and cork, to help bring texture into the home in a responsible way. It’s a move in line with Ikea’s many sustainability ventures, which most recently include a rumored furniture rental program to cut down on furniture waste, and even a menu that prominently features bugs (really). Hjärtelig’s focus on relaxation features in numerous ways, from smaller pieces like luxe-feeling linen bedding and herbal scented candles to larger items that serve a more transformative purpose. The sheer bed canopy, for example, is meant to make one feel more peaceful by sectioning off the sleeping area from the outside world. Other pieces, such as the dual-purpose bench and clothing rack (or the wooden hangers) aim to improve your wellbeing via a more organized living environment. And if you need a little more than a clean wardrobe or covered bed to achieve maximum relaxation, Hjärtelig’s got you covered: There are multiple tools for yoga and meditation in the collection, too. “To create the Hjärtelig collection, we looked into various aspects of wellbeing, from defining personal space and safer exercising to staying hydrated. We are hoping this collection will help us take a deep breath,” Ganszyniec tells Domino. Unfortunately, American yogis/fans of minimalism will have to wait a few more weeks—until April—to get their hands on the collection. In the meantime, why not try turning your bathroom into a spa, or indulging in some decadent mac and cheese (hey, we all have our priorities) to unwind? This story was originally published on March 7, 2018. It was updated with new information on March 21, 2018.